As towns and cities everywhere become more populated and industry continues to grow, our roads have become more congested, with more residential and commercial vehicles hurrying to get where they’re going. Increased traffic means more delays at some times and more speeding and traffic incidents at others. Though the solutions may be up for debate, one thing is for sure, the state of traffic on our nation’s roads falls under the jurisdiction of law enforcement, public works and local government in some way. It can lead to the need for more frequent road maintenance, especially in areas with heavy commercial traffic, and traffic studies in others, to address shifts in population and commerce. 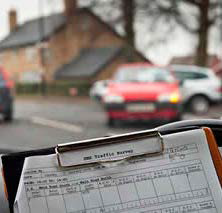 For law enforcement, increased traffic has traditionally meant more officers assigned to carry out the important, neverending tasks of enforcing traffic speed, managing safety and responding to community concerns about both. For municipalities and public agencies, increased traffic has meant assigning more traffic engineers and other personnel to carry out the important, never-ending tasks associated with managing volume, speed and safety, as well scheduling road maintenance and construction. In today’s economy, cuts and hiring freezes have made it necessary for agencies and municipalities to become more resourceful in order to achieve traffic safety goals and manage risks. One solution lies in approaching the problem from a new perspective—one that leverages the technology with automated traffic data collection and reporting allowing for real-time sharing of data and analytics. Sharing current, accurate data within a department and with surrounding agencies forms alliances that profoundly impact the safety and well-being of our communities. Traffic intelligence enables coordination between traffic engineers who design roadways, public works departments who manage all the signage and road marking, and police departments who are responsible for traffic calming and enforcement. For example, if there’s an area that experiences a lot of accidents annually, maybe that’s because the road markings or signs are inadequate, because the speed limit is too high, or because the intersection signal timing is too rapid. There are a number of reasons why those accidents may be occurring that have little to do with policing. Sharing traffic data helps departments lessen their individual burdens and responsibilities of calming traffic, reducing accidents and making roadways safer for the public. Cooperation among multiple departments within city and town governments is important as well as mutually beneficial. Spreading the cost of traffic safety equipment and software across two or more budget proposals has a better chance of being approved than if one agency makes the request. Government agencies often notice this trend when applying for grant funding. Many of the high-dollar grants require multiagency participation and that can be difficult when not all agencies share the same mindset or commitment to the partnership. By sharing traffic data with other agencies, partnerships can be formed, and groups can work together toward funding the solutions that benefit everyone. Agencies can also pool their funds, such as for the purchase of traffic safety equipment that collects data. Recently, the Vienna Town Council in Virginia unanimously approved the purchase of eight portable SpeedAlert signs and Traffic Suite management software from All Traffic Solutions, which town officials will pay for using money from capital-improvement funds and the town’s traffic-engineering operating budget; the remaining portion will come from the Virginia Department of Transportation. “On a per-dollar basis, this might be one of the best expenditures we have,” said Councilmember Pasha Majdi. 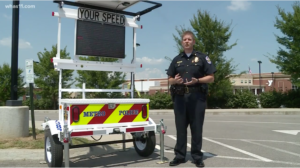 ATS customer Louisville Metro Police Department recently purchased nine new SpeedAlert trailers, complete with red and blue strobe lights, with funds provided by the Republican Members of the Louisville Metro Council. The radar speed displays upload speed and volume data to the ATS TraffiCloud automatically so the Department can run reports to respond to complaints, understand speed and volume trends and prioritize problem areas that require enforcement. The Department will share report access with the City Council and other elected officials so that they can monitor traffic information themselves. The ability to pinpoint high-speed areas and when problems are at their worst enables law enforcement to assign officers when and where they can do the most good, conserving resources and traffic equipment. With access to historical and real-time volume data for specific areas, the department of transportation can spot trends, look at ways to reroute traffic, change the timing of lights or make other adjustments to keep traffic moving and incidents at a minimum. Traffic data can help identify what each agency will require in the future in terms of traffic safety and improvements. Analyzing traffic data allows municipalities to identify the locations and severity of traffic congestion and safety issues in the community to see which are trending upward and will require more long-term solutions, such as adding more traffic lanes or signals. Sharing traffic data helps law enforcement enormously in planning and budgeting for new traffic equipment and for resource allocation. More and more municipalities are sharing data between agencies so that everyone can benefit from a larger, integrated database that paints a more holistic picture of the future. For example, when DOTs share traffic volume data with law enforcement, they can use that information to assign officers to a particular road during peak congestion hours. 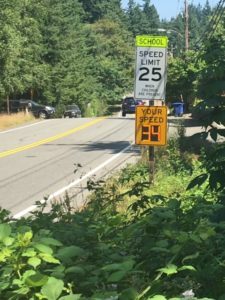 The vehicle count and classification data collected for traffic studies is helpful to them as well, for example, in identifying where trucks or motorcycles are most likely to speed through neighborhoods. 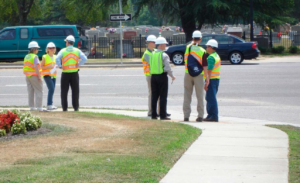 The city’s traffic engineers will find count and classification data useful, too. 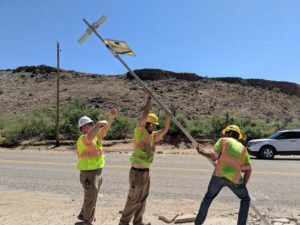 They can use it to determine how long to make turning lanes or to identify where they may need to reroute trucks away from heavy local traffic. Urban planners can use traffic data intelligence to plan new business and shopping districts, parking facilities and residential developments. Intelligent transportation and smart cities initiatives can use the data to build conditional messaging or dynamic traffic routing in real time, using a flexible open platform that integrates with existing equipment and systems. When public agencies share their data, everyone benefits from the combined pool of intelligence it creates. As municipalities and law enforcement find themselves continually challenged by the growth in population, commerce and sheer volume of traffic, adopting a data-sharing strategy to traffic management is more critical than ever. By applying a shared “data analytics mindset,” agencies can capitalize on the trends they see taking place. The result is informed decision making that leads to better traffic management and resource utilization, reduced congestion and work zone accidents, improved community relations and safer roads for everyone. If you would like to simplify and streamline the collection, management and sharing of traffic data in your municipality, we’re here to help. 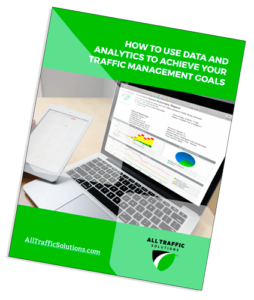 For more strategies and tips on how to use traffic data to reduce costs, maximize resources and keep your community safe, read our white paper How to Use Data and Analytics to Achieve Your Traffic Management Goals.